Purpose:? 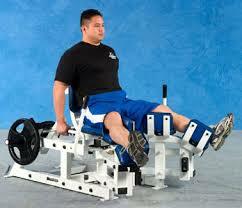 These machines are designed to isolate the muscles that spread the legs apart and bring them together. Pros:? The machines allow you to feel the burn in the targeted areas. Cons:? Despite the perception (mostly among womem) that these machines “tone” flabby thighs, they don’t actually apply enough resistance to burn many calories.? 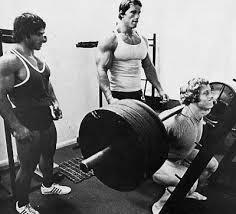 Because they don’t allow the legs to stabilize a load like squats or lunges, the abductor and adductor don’t build much strength or muscle.? Plus opening and closing your legs in a public gym is just asking for trouble. Verdict:? Bad.? “If you want strong, athletic looking legs,” says Jason Ferruggia, an MF training advisor, “you need to squat, lunges and deadlift.”? Those simple movements will train the thighs’ inner and outer areas much more efficiently and without comprimising your manhood. Amazingly these machines are still in many fitness centers and gyms. It isn’t bad enough that women are still using these contraptions, but amazingly I also see men using these useless machines. Why? outside of shear laziness and ignorance, I haven’t a clue. The adductors and abductors are worked to a much higher degree by performing multi-joint lower leg exercises like the squat and it’s variations. Does anyone know where I could find a detailed diagram of an ADDuctor machine? I need it for a project in school. Please I need help!! !